Be true to who you are in Christ! We dont just talk it, we LIVIT!!! Nothing opens the door to share your faith like a little humor! 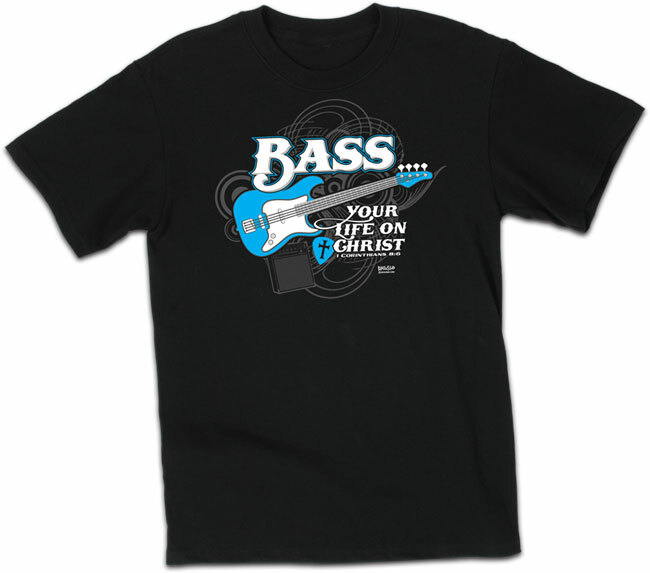 Bass Your Life on Christ: a bass guitar and a stylized pick illustrate this fun and clever concept.